Includes a chapter on the War Brides of World War One. Will be available in Canada from Dundern Publishing in May 2009. Includes a chapter on the WWI War Brides of New Brunswick. War bride Gertrude Mack and her husband Charles Bruce. Photo courtesy of her granddaughter, L. Verhulst. Sadly Gertrude died shortly after arriving in Canada. Gould, Florence E. "A War Bride Journey in 1917." Okanagan History: The Thirty-seventh Report of the Okanagan Historical Society, 1974, 48-51. Holmes, Peggy and Joy Roberts. It Could Have Been Worse: The Autobiography of a Pioneer. Don Mills, Ontario: Collins Publishers, 1980. Holmes, Peggy. Still Soaring. Edmonton: Loon Books, 1987. McKenna, M. Olga. Micmac by Choice: Elsie Sark--An Island Legend. Halifax, NS: Formac, 1990. Morton, Desmond. Fight or Pay: Soldiers’ Families in the Great War. Vancouver: UBC Press, 2004. Nash, Kate M. The Tales of Kitty Luckhurst. No place: privately printed, 1976. Strange, Kathleen. With The West In Her Eyes: The Story Of A Modern Pioneer. Toronto: MacMillian Company of Canada Limited, 1945. It has been almost ninety years since the end of the First World War, yet little is known about the war brides who came to Canada after the war. This web page was created to promote and preserve the history of the war brides who made Canada their home during this era. During the war, over 600,000 men joined the Canadian Expeditionary Force and 424,000 went overseas to fight in Europe or were housed at military training camps in England. A large percentage of the wounded soldiers spent time at hospitals in the British Isles or traveled there while on leave. Many soldiers fell in love with the women they met during their extended stay. By war's end, Canadian soldiers were marrying British and European women at the rate of 1000 per month. The Department of Immigration and Colonization repatriated over 54,500 soldiers' dependents to Canada in all. Approximately 17,000 returned to Canada between July 1917 and November 1918. After the armistice a further 37, 748 came to Canada by the end of 1919. Those who traveled between 1917 and mid-January 1919 were not given free transportation but were offered a special rate on a secure ship. By the end of 1919, they could be reimbursed for their passage based on 3rd class rates by applying to the government. These statistics, however, are for the number of soldiers' dependents that arrived in Canada after WWI. A large number of the dependents were the wives of Canadian soldiers who traveled to Britain to be near their soldier husbands. Many of these dependents were British-born and had recently immigrated to Canada before the war. A number of Canadian wives also traveled to the UK after their husbands were injured. 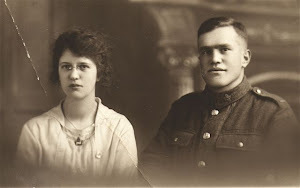 There are no official figures given for the total number of Canadian Expeditionary Force soldiers who married abroad and returned to Canada with a war bride and/or children. A number of former soldiers returned to the British Isles or France to marry the women they met during the war. Also not included are the many young women who traveled to Canada after the war to be married at their own expense. It has been difficult to ascertain just how many women came to Canada as war brides during this era. By November 1918 reports in the Canadian press estimated that there were at least 20,000 women who had never been to Canada before. By mid-August 1919 that number swelled to 35,000. Many families traveled to Canada together on troop ships, known as dependents ships, but were berthed in separate locations on the ship. They would meet on deck in the morning, attend activities and if possible, take all their meals together. Later, if the weather permitted, they would spend time on deck. Many wartime romances were rekindled with dancing on deck "C". Was your mother, grandmother, or any other relative one of these courageous war brides who married a Canadian Expeditionary Force soldier during the First World War? What was her life was like after she set foot on Canadian soil? Do you have any documentation about her life such as photos, diaries, letters or stories that you would like to share? If so, please email me at wwiwarbrides@shaw.ca or avidgenie@hotmail.com . I'd like images and stories that I can use for articles, displays or presentations about these war brides. I plan to write a book about their experiences. Canada. Dept. of Militia and Defence. The Return Of The Troops: A Plain Account Of The Demobilization Of The Canadian Expeditionary Force. Ottawa: Government Printing Bureau, 1920. 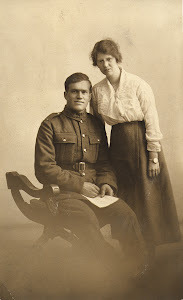 My husband's great-uncle served from Moncton, New Brunswick. You have no idea how thrilled I was when a friend sent me your site. This is pure gold for me. I am writing a novel set in WW1 featuring a NS lobsterman who goes to war, meets a Scottish girl in Franch, goes home early because he loses a leg and sends for her. I need to find out how she would have come - maybe even a ship name and date, and how much it would have cost to get her there. I can hardly wait to delve deeper into your blog!